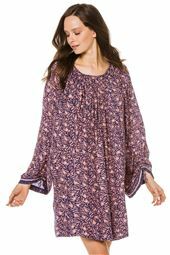 Fiore maxi dress with with 3/4 length sleeves and flowy silhouette. Each piece is hand painted and hand dyed. Due to the nature of the fabric and process, each piece is one of a kind in color. May vary slightly from photo.